Superb technical ability combines with sensitive musicality and an unrivalled repertoire to produce a fashionable presentation of light classical music at its finest. A highly-trained group of young Guildhall graduates forms the central pool of this lively ensemble, who constantly seek to expand their repertoire to include the most up-to-date and unusual musical genres and styles. Find out more about booking Mancini String Quartet for your wedding. The breadth and range of the Mancini repertoire is quite staggering. Hardly a single musical genre escapes their perusal, resulting in some very interesting fusions and adaptations. Modern pop, recent chart-toppers and West End hits sit side by side with iconic Movie and TV themes, supported by the more predictable light classical and swing jazz standards. This astonishing diversity of cross-genre performance from a sophisticated and stylish ensemble will win over the most fastidious of guests at a wedding ceremony or reception. If you have a specific request that does not appear on their extensive playlist, for a modest additional fee the quartet will be happy to arrange and perform it specially for you – they relish a challenge! The Mancini String Quartet pride themselves in the high quality of their musical performance; they also take great care in their immaculate presentation. The ensemble not only sounds great, it also looks every inch the part. This carefully-crafted style-conscious approach to presentation results in a suave, sophisticated image to be further enhanced by their elegant, classy musical performance. The individual musicians who together make up The Mancini String Quartet can boast a wealth of experience across a wide spectrum of musical performance. As well as working with top orchestras like the LPO, members regularly feature in recording sessions with Robbie Williams and other artists of similar international calibre. TV appearances and radio broadcasts make up much of their daytime work, with concerts and other engagements filling the evening schedule. The Mancini String Quartet were invited to play at the celebration of Queen Elizabeth’s Golden Jubilee, the City of London Festival, and performed at the official opening ceremony of the Millennium Bridge. 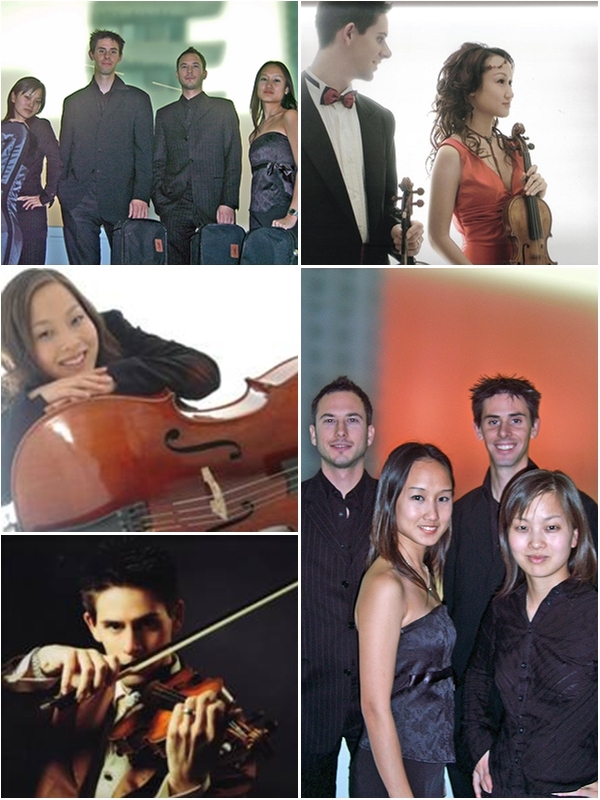 The Mancini String Quartet will add that intangible essence of class and sophistication to your wedding celebration. With their remarkable repertoire and impeccable presentation, the ensemble will help to set an appropriately elegant atmosphere and maintain a light-hearted sense of occasion, both at the ceremony and later at the reception.